Well, I didn’t make it to the Mardi Gras parade yesterday. Instead, my family went to Tennessee to say goodbye to Santa Mike White. He was married to my grandpa’s cousin Salen, and he was the BEST Santa ever. The minister said that Heaven must have needed a Santa, so God called Santa Mike home. The funeral wasn’t sad, though, because everybody told stories about Santa Mike. Afterwards, we went back to Salen and Mike’s house. Just off the front hall, was Santa Mike’s train workshop. It was amazing — I can’t even count all the gorgeous trains and scenes in the room. I wish I’d gotten to visit the room with Santa Mike, so he could have told me all the stories about the trains, but I’m glad I got to see it. I will miss him, but I won’t forget him, and I’m glad I got to go to the funeral to say goodbye. 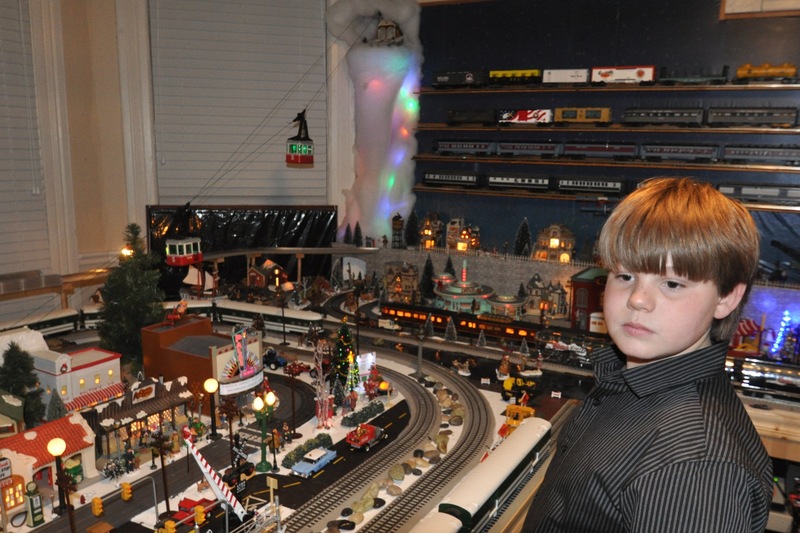 This is just a small part of the amazing train room built by Santa Mike White in Somerville, Tennessee. He seems so sad in this photo. He loved Santa Mike very much.